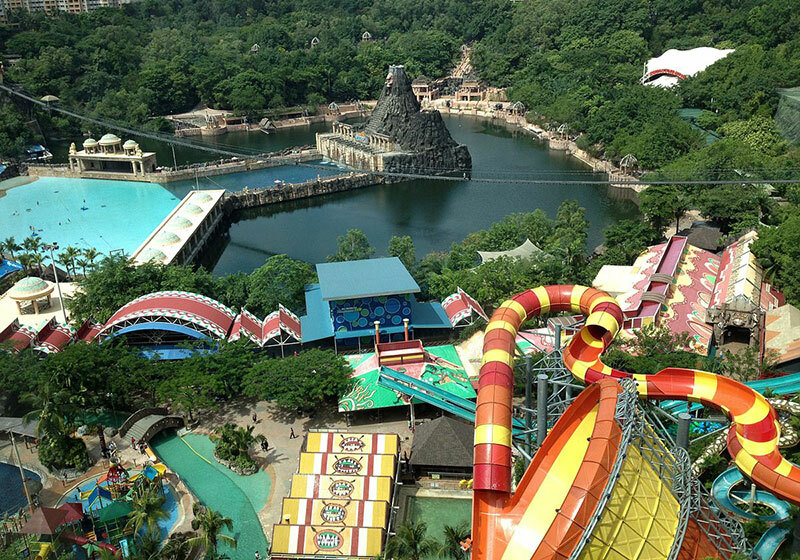 Sunway Lagoon Theme Park is the one-stop place for fun, whether you are aged 8 or 80 at Selangor, Malaysia. With over 90 attractions spread across 88 acres, Sunway Lagoon provides the ultimate theme park experience in 6 adventure zones — Water Park, Amusement Park, Wildlife Park, Extreme Park, Scream Park & Nickelodeon Lost Lagoon – Asia’s 1st Nickelodeon Themed Land. Sunway Lagoon is located in the bustling township of Bandar Sunway, within the district of Petaling Jaya in the state of Selangor. It is a mere 15-minutes drive from Kuala Lumpur in smooth traffic conditions and is accessible via a network of expressways including the Federal Highway, Damansara-Puchong Expressway, New Pantai Expressway and KESAS Highway. Short Description: The Sunway Lagoon is a theme park in Bandar Sunway, Subang Jaya, Selangor, Malaysia owned by Sunway Group. The park began operations in 1992 and was officiated by the then Prime Minister of Malaysia, Tun Mahathir bin Mohamad, on 29 April 1993.